Welcome to our website! We hope you'll find and receive sufficient information as well as discover who we are and our services. We're a young team that through experience, knows exactly what our customers expect. The most important factor for A&S Airport Service, is to be able to offer the customer a safe and pleasant journey. You will be picked-up at the entrance of your hotel or company and will be directly driven to the required airport and/or desired address. No further passengers will come along, as we solely offer "individual transfers"! At the airport, the driver will be waiting for you at the Meeting Point with our company logo. 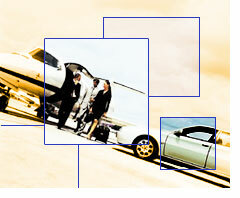 At all times, A&S Airport Service guarantees you a discrete and exclusive chauffeur service!! !